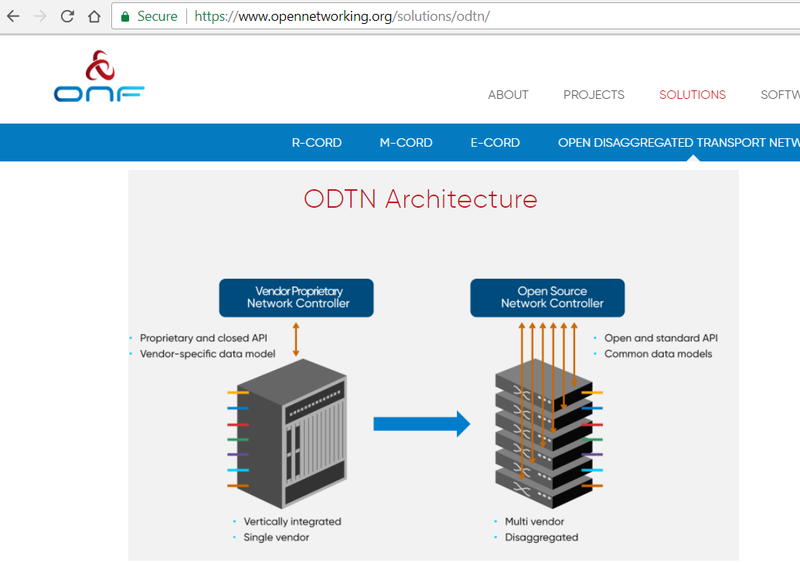 A new, operator-led Open Disaggregated Transport Network (ODTN) project is underway at the Open Networking Foundation (ONF). The goal of ODTN is to build optical transport networks using disaggregated optical equipment, open and common standards, and open source software. The project will deliver an open source platform for running multi-vendor optical transport networks. It will leverage the ONF’s ONOS SDN Controller, automatically and transparently discovers the disaggregated components and will control the entire transport network as a unified whole, thus enabling multi-vendor choice. The organizers of the project say that just as the SDN movement has disaggregated the data center and operator edge networks, ODTN will bring similar benefits to the optical transport network including best-of-breed choice, elimination of vendor lock-in, cost containment and accelerated innovation. Backers of the project include China Unicom, Comcast, NTT Communications, Telefonica and TIM.